This is the second post in a three-part series spotlighting Legislative Insight database features. For this post, we’re looking at the “Legislative Process” tab, available off the menu bar (shown below). Each step is explained in detail by clicking the orange information tab (shown below). 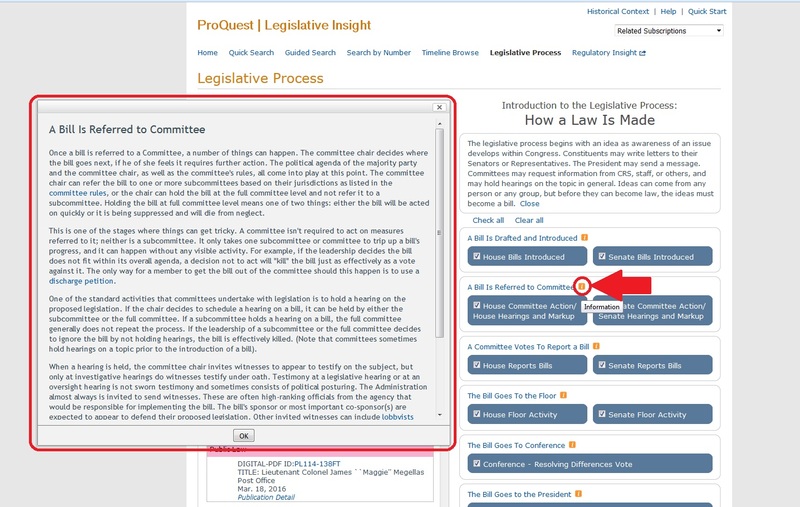 In the example below, the Legislative Process page breaks down the intricacies of when a bill is referred to a committee. The Legislative Process page on Legislative Insight demystifies the law making process by providing a step-by-step guide in simplified language. 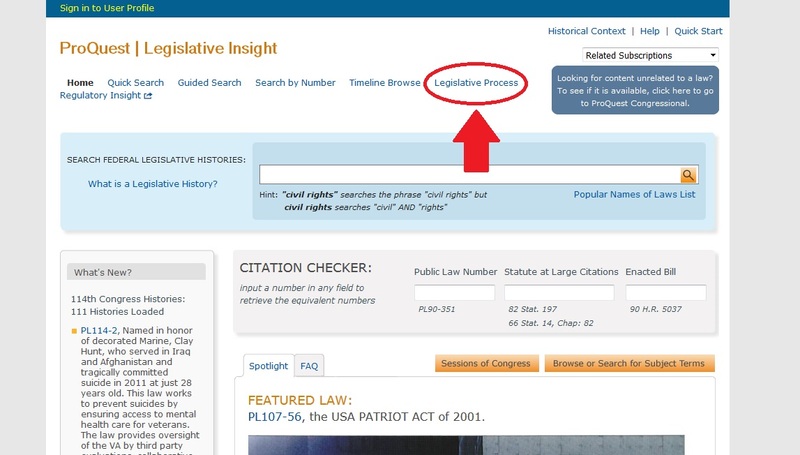 Access to ProQuest’s Legislative Insight database is available through the Texas Tech Law Library website under the Electronic Databases tab.